Today is the last day of my FEARS workshop. Did you miss it? No worries. You can still check it out on the Forum. You can continue to ask questions and I’ll ask them as they come through. 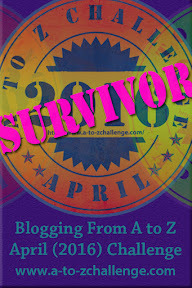 This entry was posted in Blog and tagged Blocks, FEARS, Tina Holland, Writer Zen Garden, Writing. Bookmark the permalink. ← Happy New Year! What’s new in the Garden?